Announced bets or „Call Bets”, as they are on a regular basis referred to by the players, are wagers where the gamer calls a bet and immediately places the amount of money necessary to cover it on the table, before the croupier announces the stop. The roulette wheel, as you know, has 37 or 38 pockets with numbers ranging from 0 and 00 to 37 that are arranged in five different series. Bets on one or more of these series are also called „French Bets”. This series is composed by the seventeen numbers, placed on the wheel between 22 and 25 including both 22 and 25. On the European wheel, the series is: 22, 18, 29, 7, 28, 12, 35, 3, 26, 0, 32, 15, 19, 4, 21, 2, 25. This is a kind of bet where you wager on the numbers closest to zero. There is also another type of Zero Game bet, with 5 chips placed on the layout; the fifth chip is placed straight up on 19. The Tiers bet, as it is on a regular basis referred to by the players, is a bet made on the twelve numbers situated between 27 and 33, including both 27 and 33. The series is as follows: 27, 13, 36, 11, 30, 8, 23, 10, 5, 24, 16, 33. 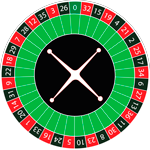 There is also another type of Thirds of the Wheel bet, with 10 chips placed on the layout and an additional bet of 1 chip straight up on 5, 8, 10 and 11; this one is called „Tier 5, 8, 10, 11”. The Orphans bet is called on an eight-number series, being placed on the two slices of the wheel on the outside of Voisins and Tiers. The series is as follows: 17, 34, 6 and 1, 20, 14, 31, 9. Final bets starting from zero to 6 will cost you 4 chips or a multiple of 4, while the last three final bets (7, 8 and 9) will cost you 3 chips or a multiple of 3. 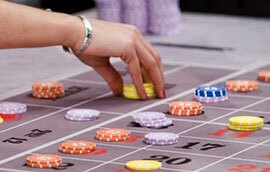 Maximum bets are a type preferred by the high rollers – it refers to placing all the inside bets on a certain number. Let’s say that the maximum amount allowed to be wagered on a straight up bet is $1000. Then, the maximum wager on a split bet will be $2000; each one corner containing your number of choice will have a maximum wager amount of $4000. On every street you will be able to bet a maximum of $3000 and each six line containing your number will allow a maximum wager of $6000. When we add everything up, you will see that in fact the wager is $40.000 on a Maximum Bet. Zero will cost you 17 chips to complete and will pay 235 chips. Numbers 1 and 3 each will cost 27 chips and pay 297 chips. Number 2 will cost 36 chips and pay 396 chips. The 1st column will cost you 30 chips for each number and pay 294 chips/number. The 2nd column will cost you 40 chips for each number and pay 392 chips/number. Number 35 is a 24-piece bet which pays 264 pieces. However, one chip can be worth anywhere from $1 to $1000: going back to our example we remember that if you choose number 17 to bet on, you will have to lay 40 chips on the table and that will bring you a profit of 392 chips in case you win, but each chip can have a value between $1 and $1000. 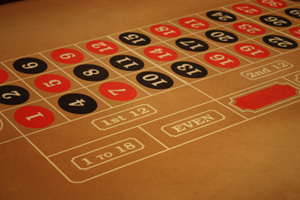 Along the casino history, many players tried to turn the odds in their favor: most of them were using a system or a strategy and almost all were promoting the idea that any casino (even William Hill) can be beaten – all one had to do was observe a basic pattern in the wheel spin results, thus predicting the outcome of the future wheel spins. Nearly all the systems and strategies are based on the idea that the outcome of a wheel spin is somehow related to the result of the one that preceded it. Nowadays, we know that all the betting systems based on patterns are destined to fail and the result can be no other than you losing money. These kinds of pattern systems have a very high risk rate, because they are wrong in assuming that the spin results are related in some way to one another. Also, there were and still are some betting systems that work.